PSI’s ProStack Metric modular bottled water rack system offers 360 degrees of bottle enclosure, which dramatically reduces leaking bottles. Our ProStack bottled water rack has unmatched durability you won’t find anywhere else. 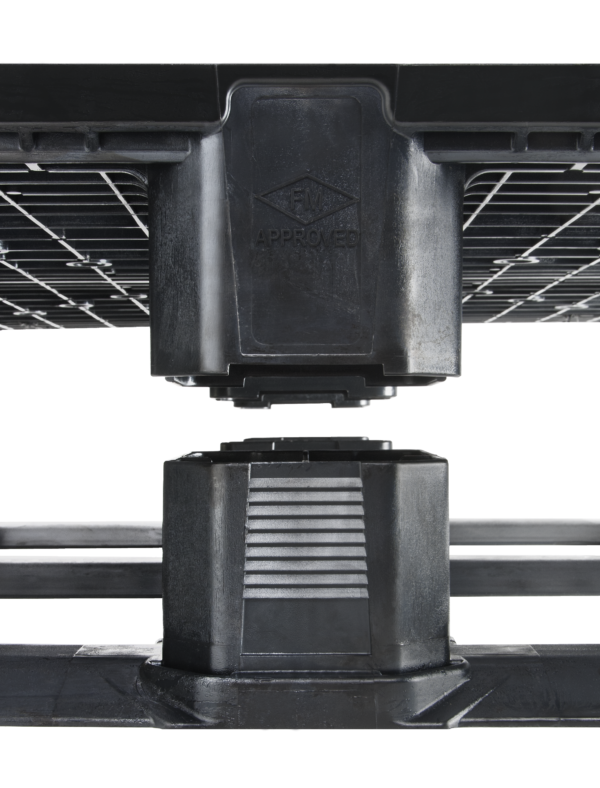 Our ProStack Metric water bottle rack can hold four 19-liter or six 11-liter bottles in each unit and offers a number of advantages over metal units, including lowering maintenance expenses and a reduced risk of damage to truck bays and trailers. Our ProStack Modular Racks are built to work with our Double Leg Ratchet Pallet. 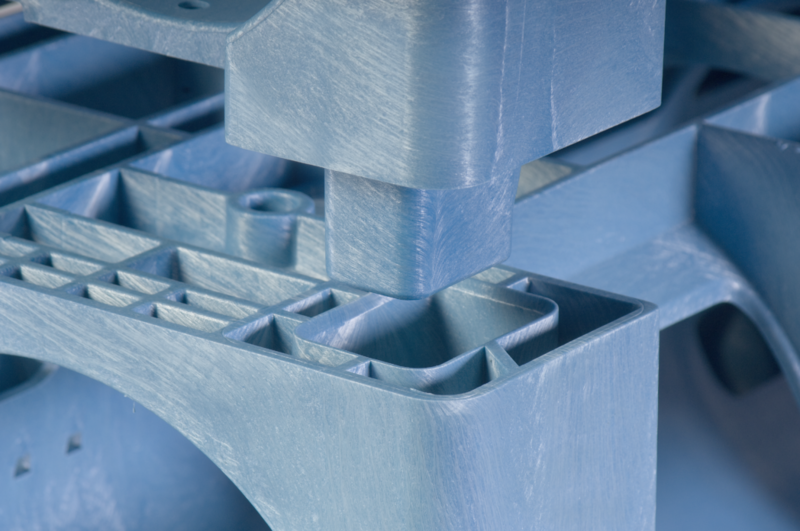 (DLR) Our Double Leg design provides twice the protection from forklift damage than old technology single leg pallets, thus significantly reducing costs, while ensuring maximum production efficiency and safety. When you’re transporting or storing potentially unstable cargo such as large water bottles, you need a rack system that will keep the bottles steady, safe and organized. You need a system like the ProStack Metric. This modular rack system offers a 360-degree bottle enclosure, offering full padding and protection for the water bottles. This dramatically decreases leakage from the bottles. 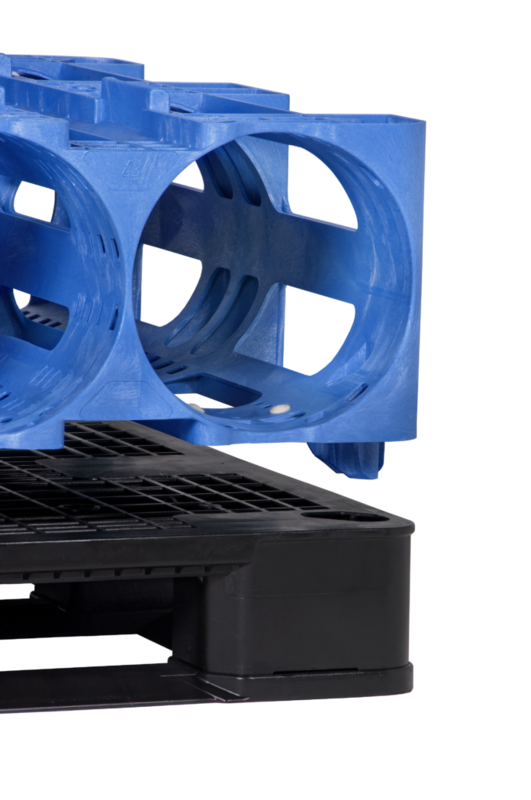 Our ProStack Metric water bottle racks for 11 or 19-liter bottles can improve handling capabilities and cut down on wasted space. They can be stacked up to 15 layers high, allowing you to optimize a small cargo or storage area. 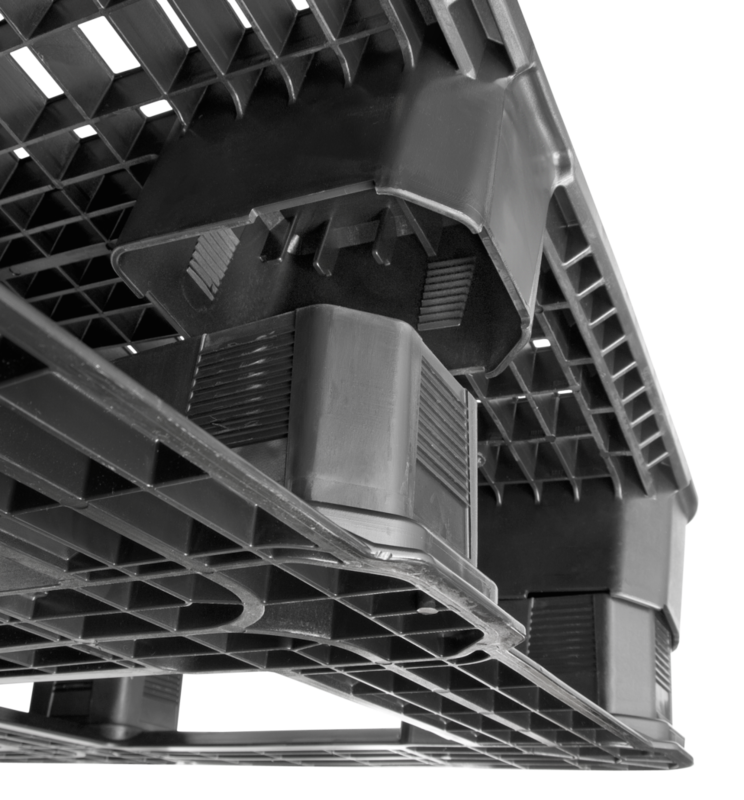 When you use our plastic bottled water racks, you get a product that helps your company become more efficient. 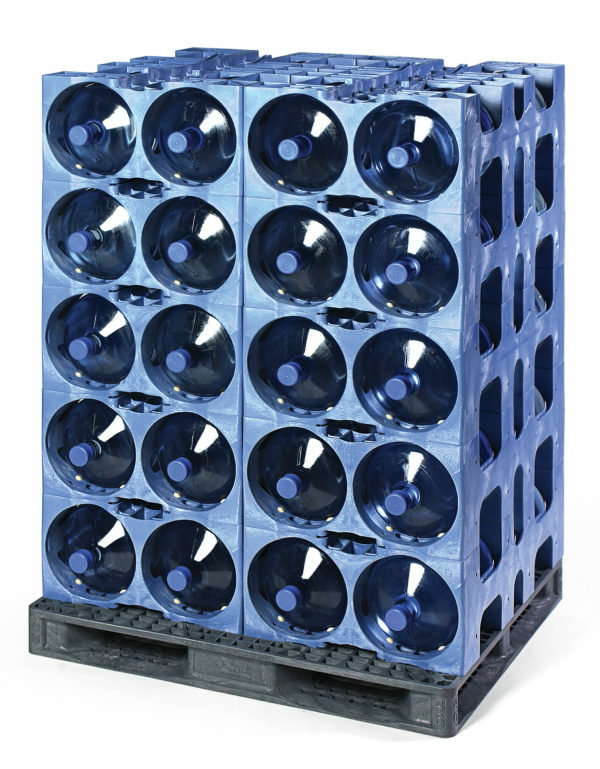 The ProStack Metric can hold four 19-liter or six 11-liter water bottles. We offer racks in either blue or black and you can stack three pallets of five units. We make our bottle racks from polyethylene and each one is injection molded for the ultimate durability. With metal racks, there’s maintenance and upkeep involved in keeping those surfaces useable. They may rust or bend and they’re not practical options over the long-term. However, our ProStack Metric is. We offer years of maintenance-free usage from our bottle storage. We know you’ll appreciate the ability to buy our racks and then move on to your next project because they won’t need your attention. Polymer Solutions International, Inc. wants to help your company do business the smart way. That means offering products that make your job easier and can save you time and money. We’re also committed to the environment and protecting our planet, which has helped shape many of our policies. It’s easy to produce waste when you’re in the material handling business. Through hard work and careful planning though, we’ve adopted green practices that help decrease our impact on the world around us. We offer reusable packaging material, cutting down on what’s sent to the landfill. We also sponsor a buy-back program for our customers. 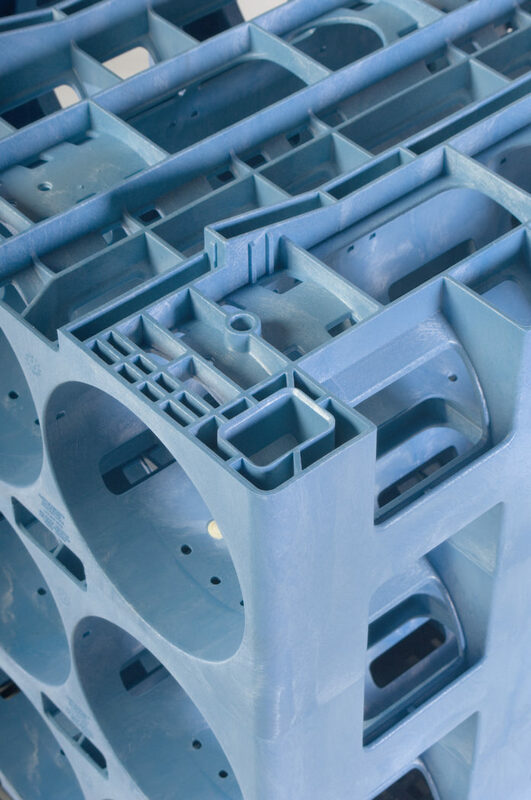 We’ll take your water bottle racks after they’ve reached the end of their product life cycle and recycle them to use in new products we manufacture. It’s just one way we show our commitment to sustainability. We’re are also dedicated to helping you figure out the best solutions for your storage and transportation needs. 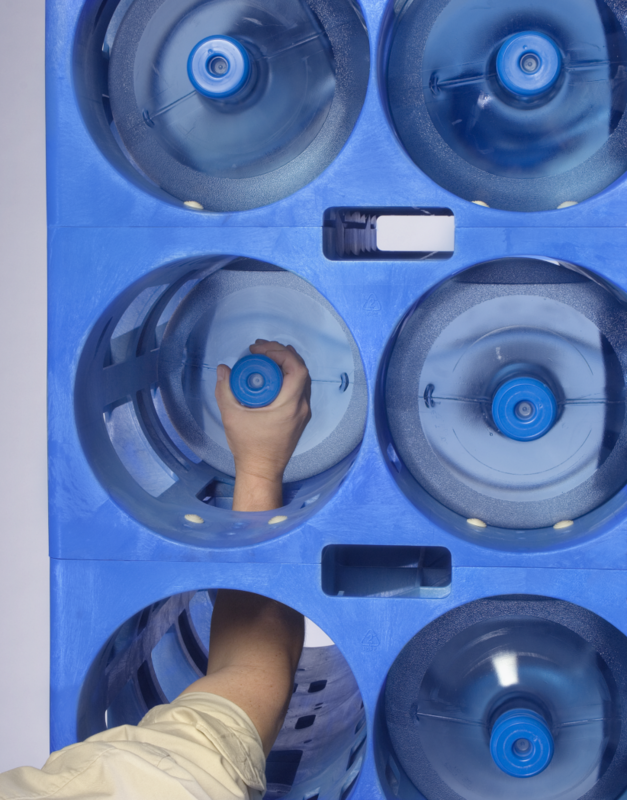 Our ProStack Metric will streamline your company’s bottle water handling and reduce your overhead expenses. 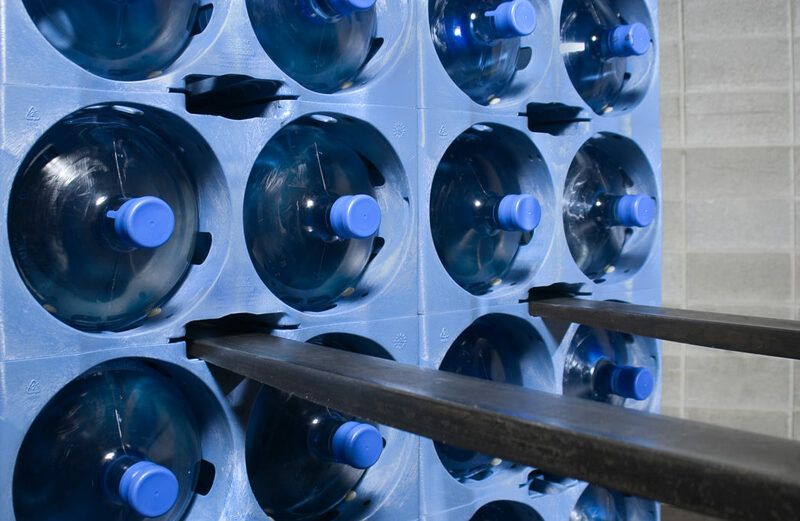 Contact us today to discuss the best option for your bottle water rack needs.